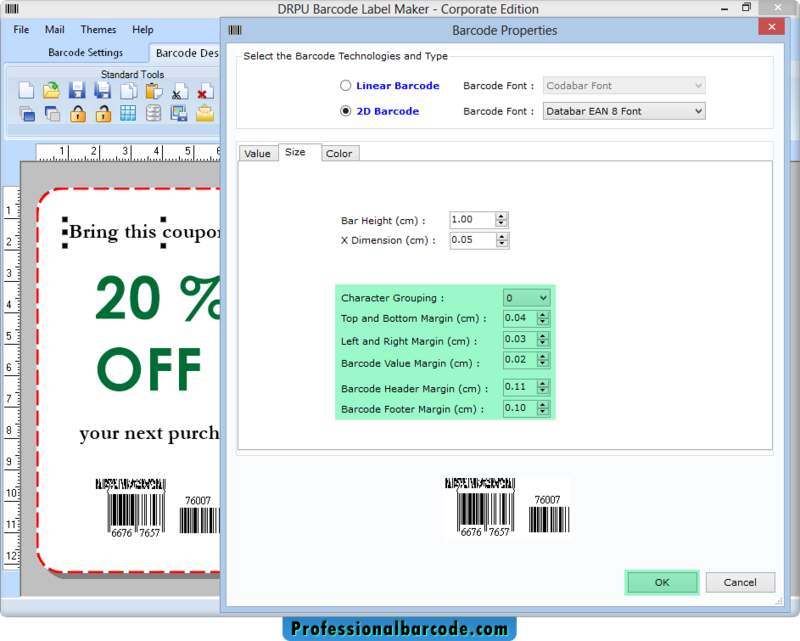 Go to size tab to set bar height, dimension, character grouping with different margins. Set text properties using general, color and other settings as per requirement. 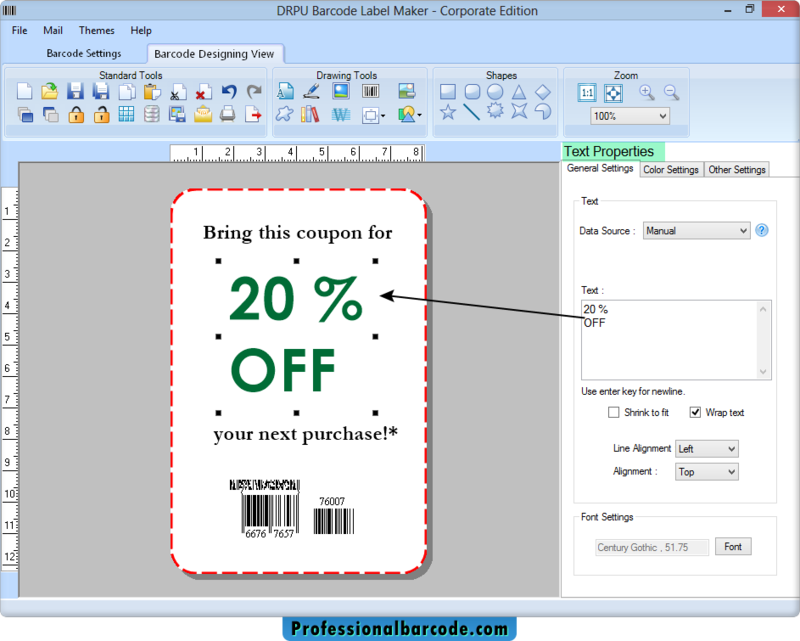 In manual print mode, set various attributes as per requirements. 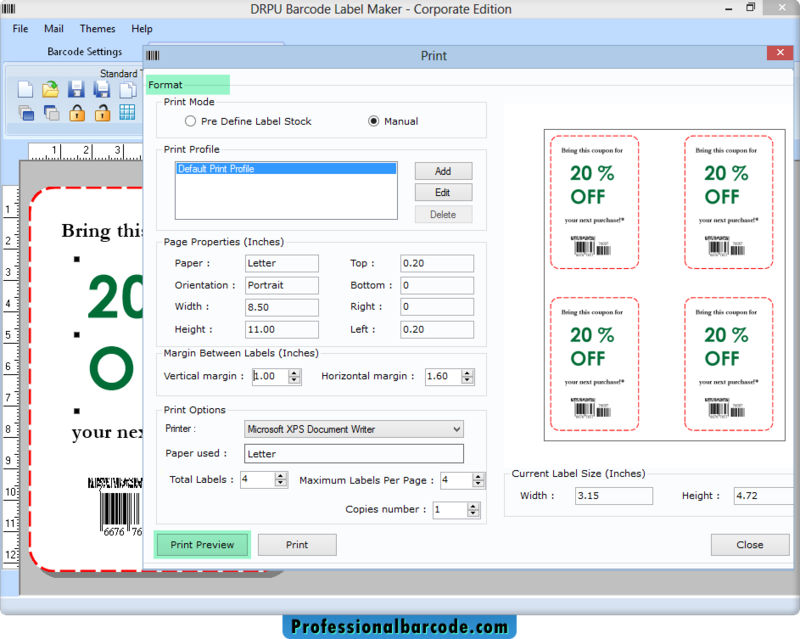 You may also choose Pre Define Label Stock mode to use pre defined settings.